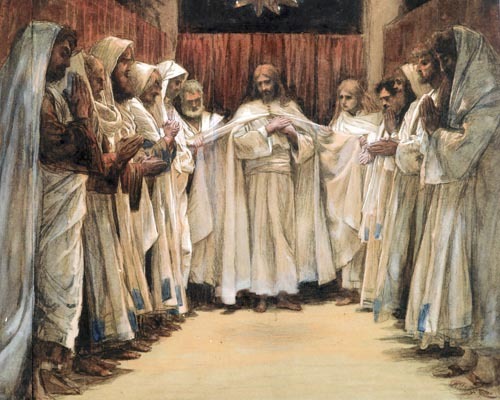 During His public life our Lord Prepared for the foundation of His Church by appointing twelve special disciples, called Apostles. These men were to become witnesses of the Resurrection, to preach the Gospel, and to organize the Kingdom of God on earth. Our Lord chose twelve Apostles. After His Ascension the other Apostles were inspired to select Matthias as the successor of the traitor and suicide, Judas. A later, but unquestionably authentic number of the Apostolic band, was Saint Paul, who received his commission from Christ Himself in a direct if mysterious manner. Thus there are thirteen saints who may be properly entitled Apostles.